Remember when Kevin Durant was against forming NBA superpowers? When LeBron James left the Cleveland Cavaliers in 2010 to sign with the Miami Heat, forming a super-team of sorts, he was killed for it. Someone who helped pile on was a guy that many fans believed was the last great hope: Kevin Durant. That dream is now dead. Durant, who blasted LeBron for not being able to stay in Cleveland and win, has left a team he couldn't help win to join a team of mercenaries. 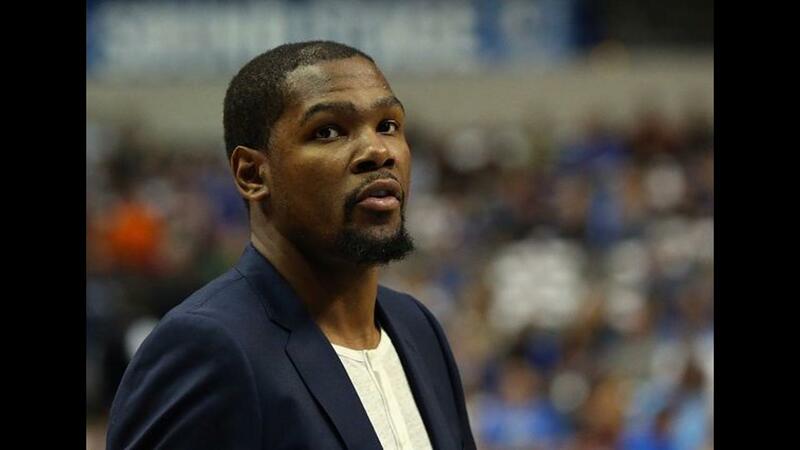 As soon as news of Durant's deal with the Warriors was announced, people began digging up an old tweet of his that seems a little egg-faced now. Fast forward six years — to today — and Durant is leaving the team that drafted him and he helped build up to go play mercenary with the best team of this generation. You can't fault KD for wanting to win a title, but it's going to be asterisked almost even more so than LeBron's titles in Miami. LeBron was the best player in the world joining two All-Star caliber stars. Durant is joining the best player in the world in Curry, and he's actively accepting the fact that he's taking a backseat on the roster. Sure, he's going to win a title — in theory — but at what cost to his legacy is that going to be?